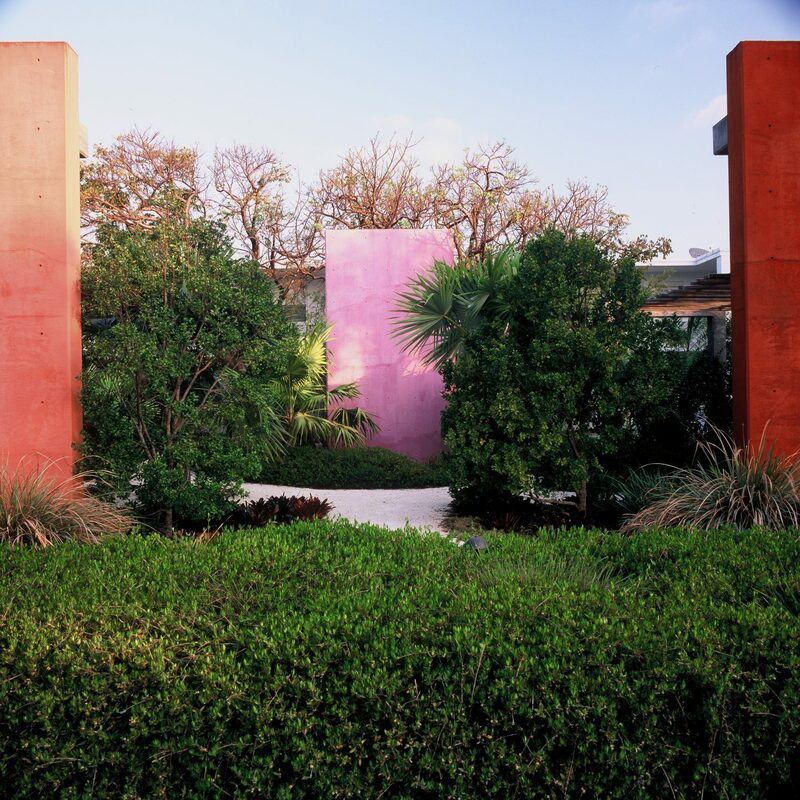 Casa Morada | Raymond Jungles, Inc. 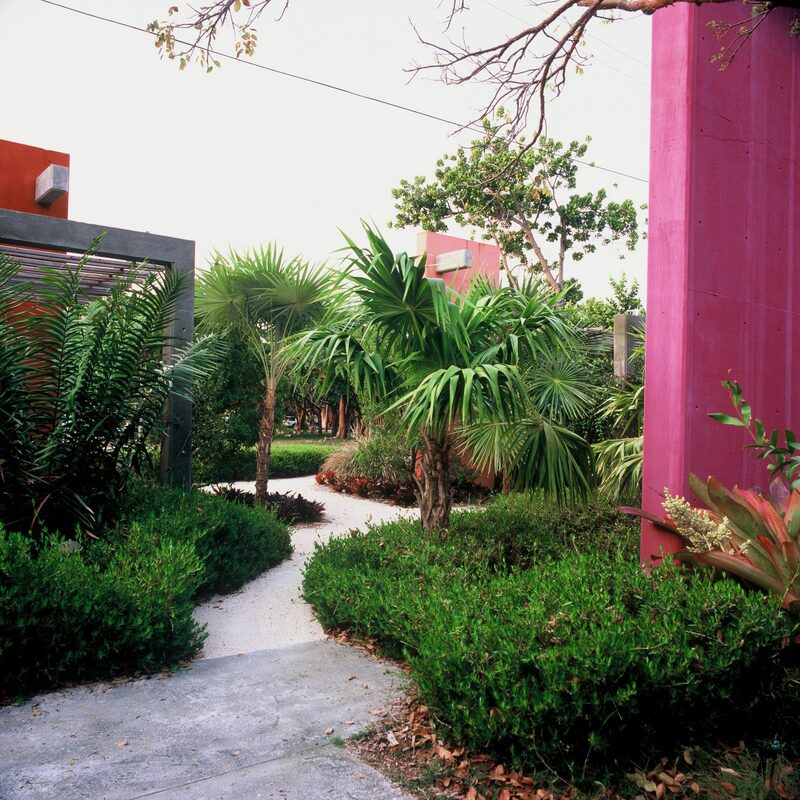 The challenge of Casa Morada was creating a relaxing, tropical resort-like atmosphere on a limited budget. 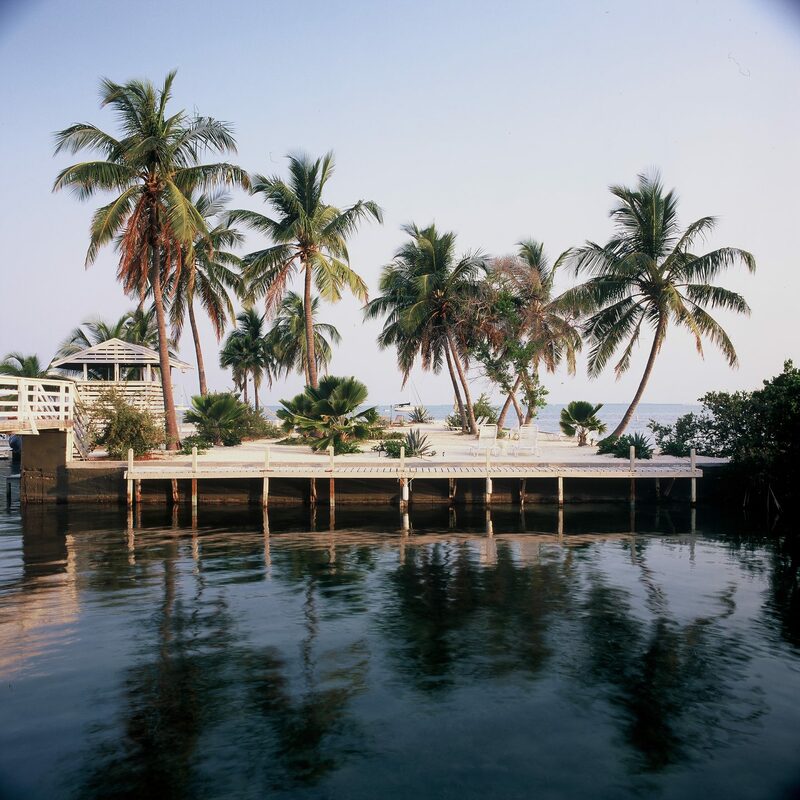 Hotshot New York hoteliers were seeking to turn a partially renovated 1950′s-era resort on Florida Bay into a cutting-edge, memorable experience in the Florida Keys. The two existing hotel building, essentially an old motor lodge, had no curb appeal, an excess of asphalt, poor circulation, and not a hint of inspiration. The first step in transforming this sixteen-room hotel into a striking and unforgettable hideaway was reorganizing vehicular and pedestrian circulation. We reduced the impact of automobiles on the property by half by placing parking in convenient yet unobtrusive areas of the 1.7-acre site. 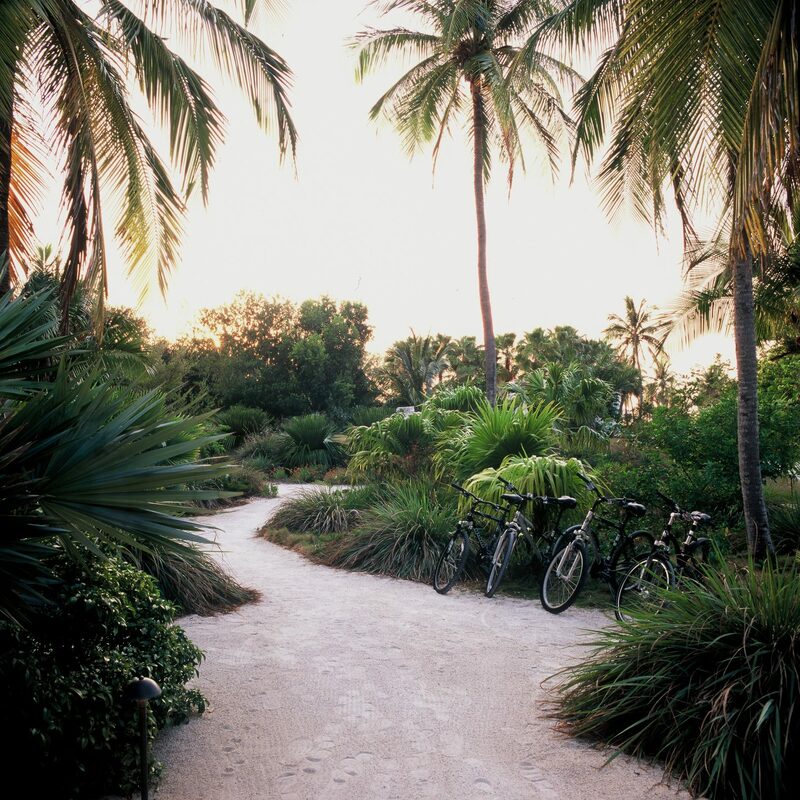 The appearance of these areas is softened by removing the pavement or covering it with sand. 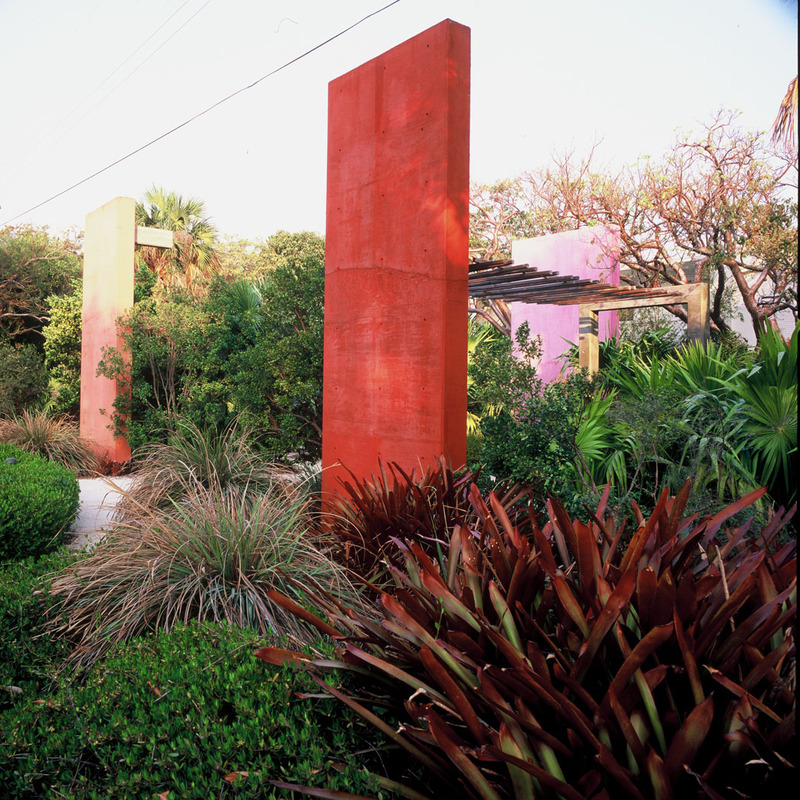 The center of what used to be a vast asphalt parking lot is now an intimate garden space defined by three cast-in-place painted-concrete monoliths. 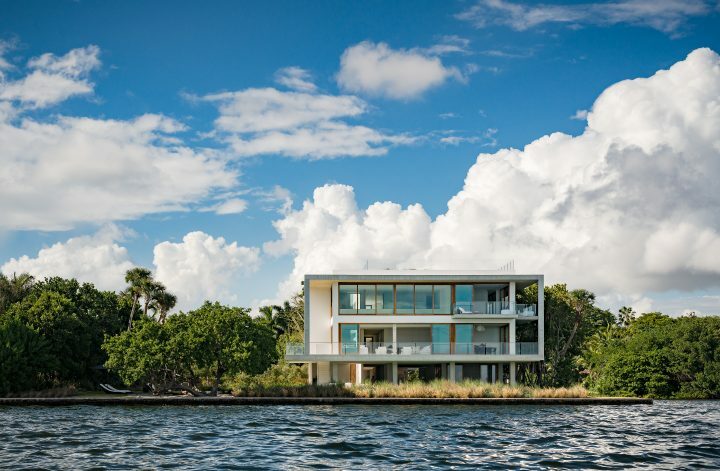 Their dramatic architectural presence has become the hotel’s visual signature. 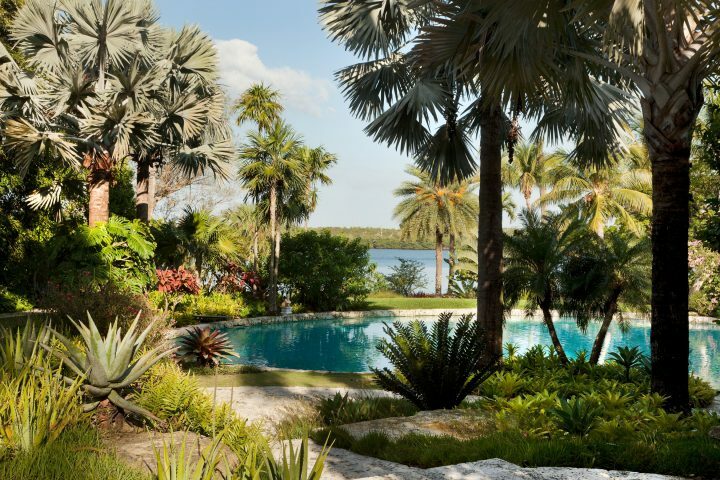 The lobby, which was moved to the back of the building, provides a view across the garden to Florida Bay. 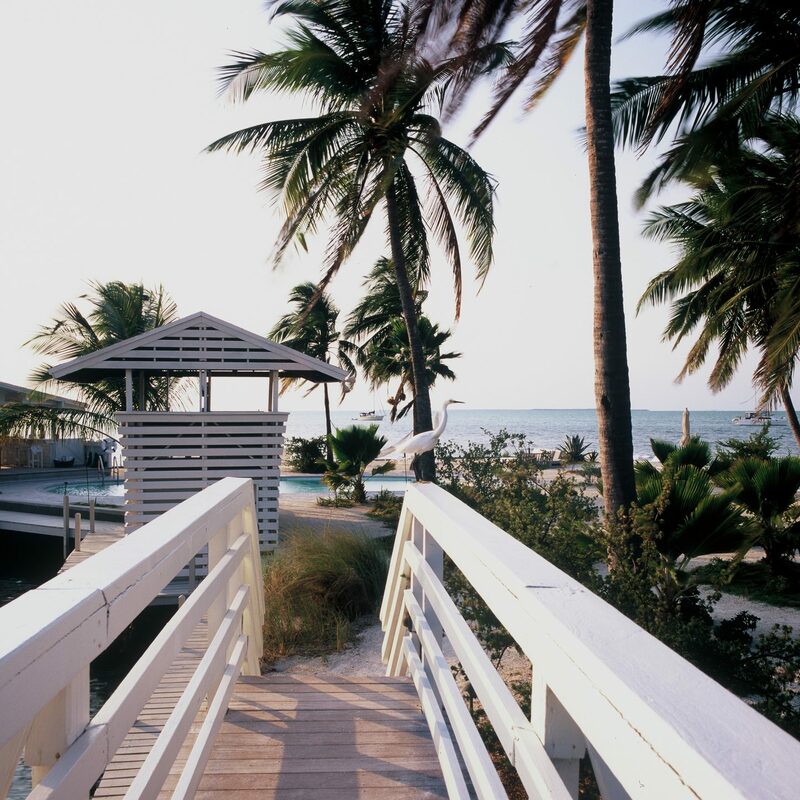 A trellis over a boardwalk along the north side of the building establishes a logical path that guides guests from the parking areas along a sandy lane. 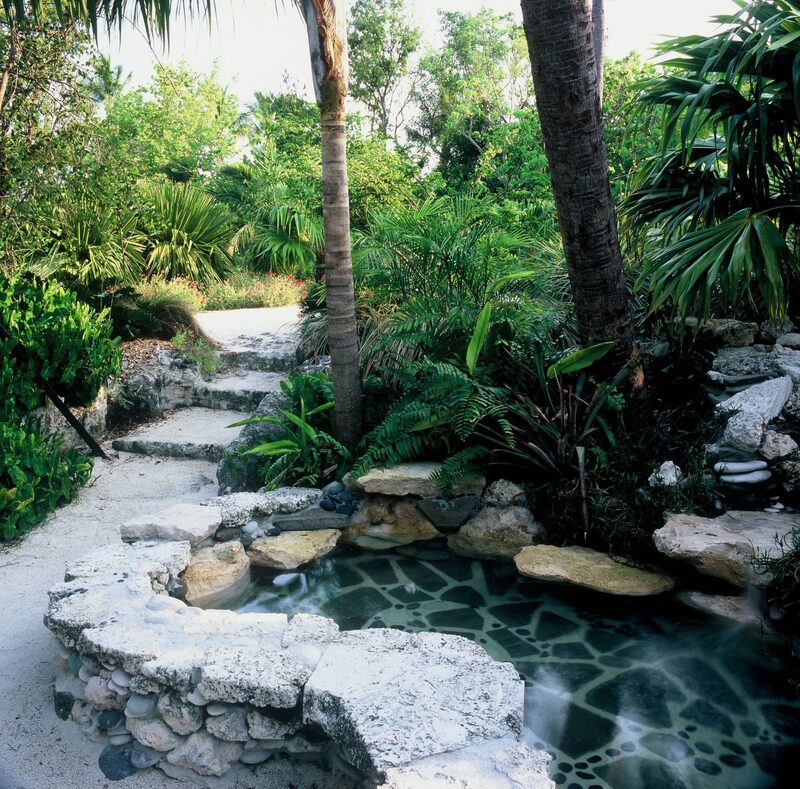 For the most part, we used plants indigenous to the Florida Keys, which creates a veritable wildlife refuge. Once these were established, we removed a temporary low-emitting irrigation system. 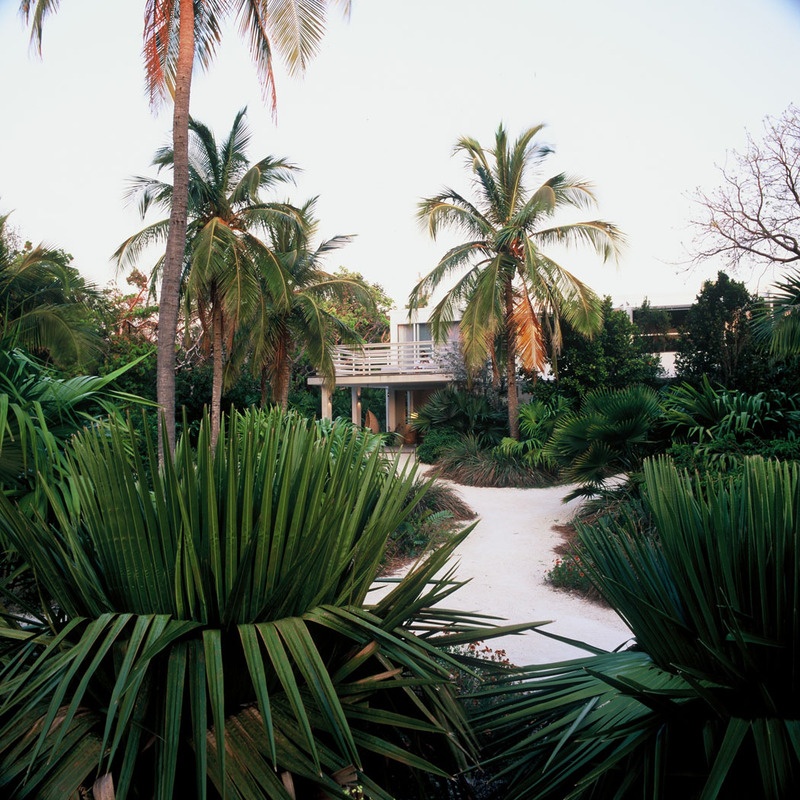 A rigid grid of Washingtonia palms defined the original waterside garden. We relocated these and other trees to generate maximum effect. In place of the palm grid, a limestone grotto imparts an intimate scale. A new garden thrives in the micro-climate created by the grotto –this area is now the coolest part of the site—and benefits from the directed water drainage. Beyond the grotto, at the proposed location for a second pool, we built a grassy knoll that has become a popular spot for weddings. 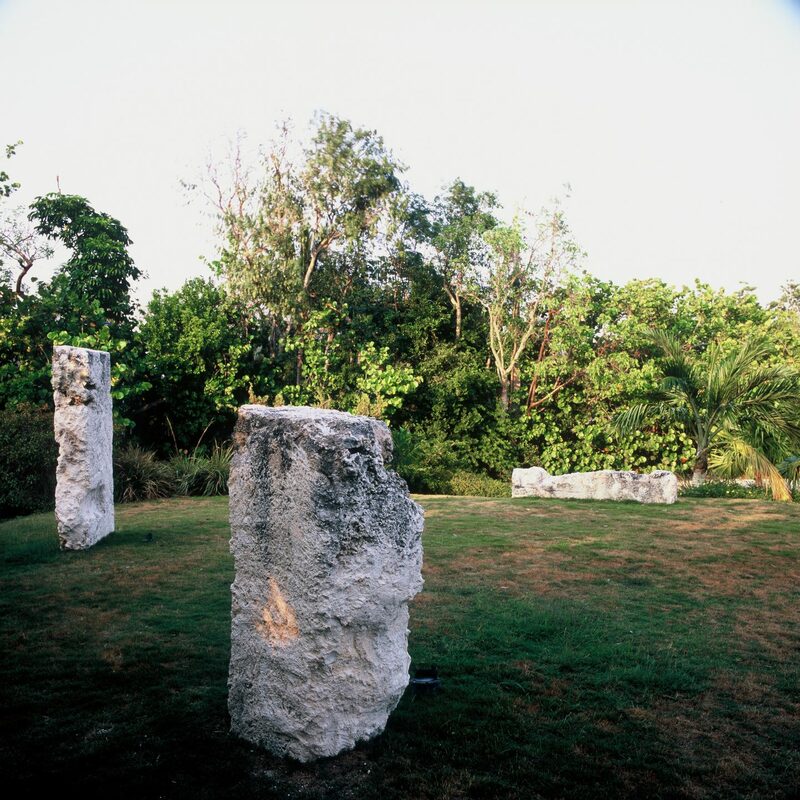 Fossilized keystone monoliths dug from the grotto define the space and offer a great place for viewing the sunset. The existing pool, located on an island connected to the main property by a footbridge, was overdue for an update. Concrete, full of cracks and irregularities, covered 95 percent of the island. 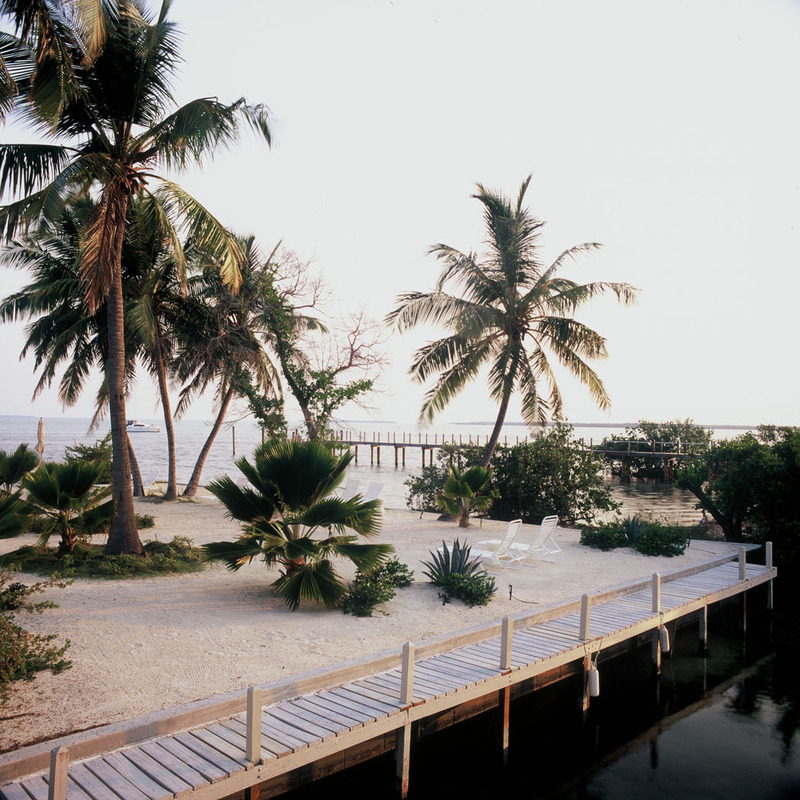 We demolished the old concrete and covered the island with 220 cubic yards of sand, linking the island to the mainland gardens. An almost unnoticeable concrete curb around the island’s perimeter contains the new sand ground plane. An absolute minimum of new concrete decking around the pool and a matching coping produce a clean, bold look. Generous pool steps and waterline tile are simple and white, as is the pool’s bold look. Generous pool steps and waterline tile are simple and white, as is the pool’s new coating. 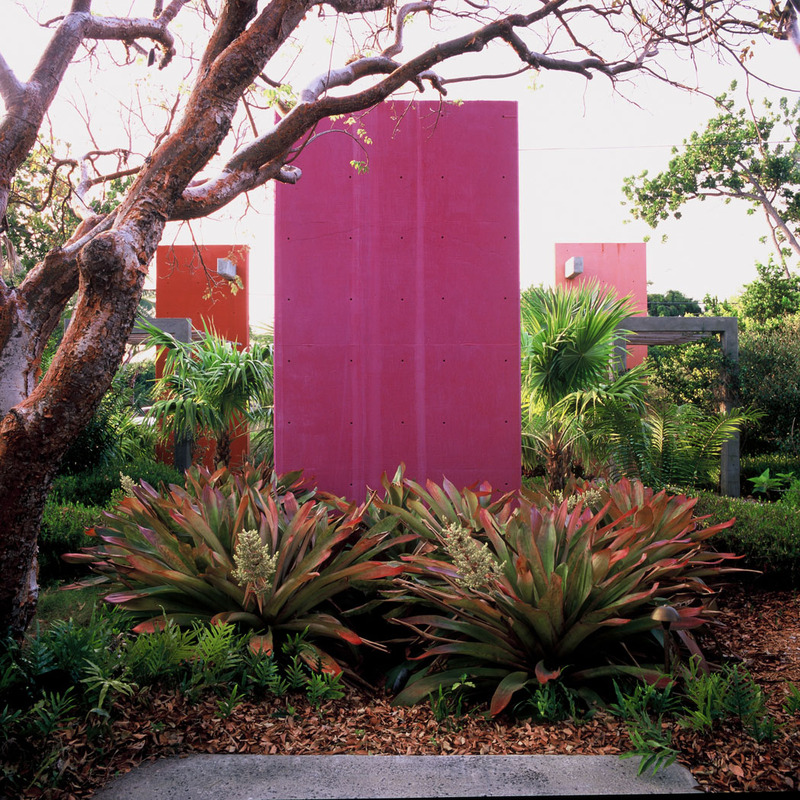 Beach-friendly plants grow in areas once covered by concrete.